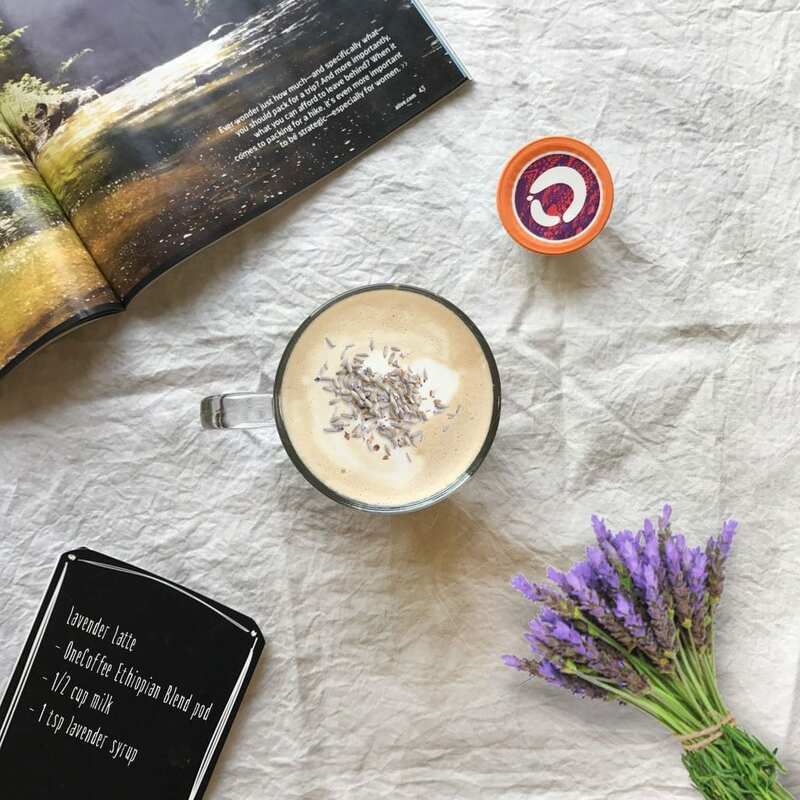 A single-serve take on the traditional lavender latte. Heat the milk up in the microwave until hot (not boiling). Froth the milk using a hand-frother and set aside. Add your lavender and coffee to a mug, top with the frothed milk and serve. We used a OneCoffee Ethiopian Blend single-serve pod brewed at 6 oz, but we’d also recommend our French roast or Swiss Water processed Decaf Blend.